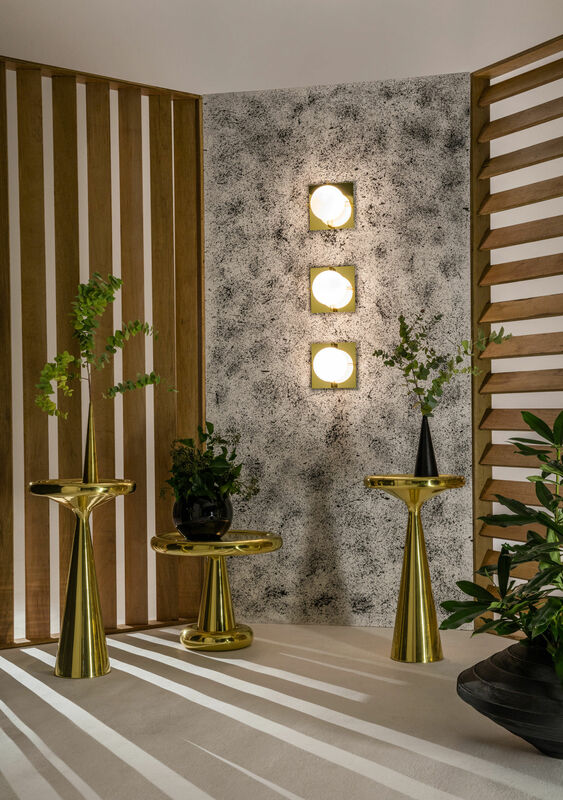 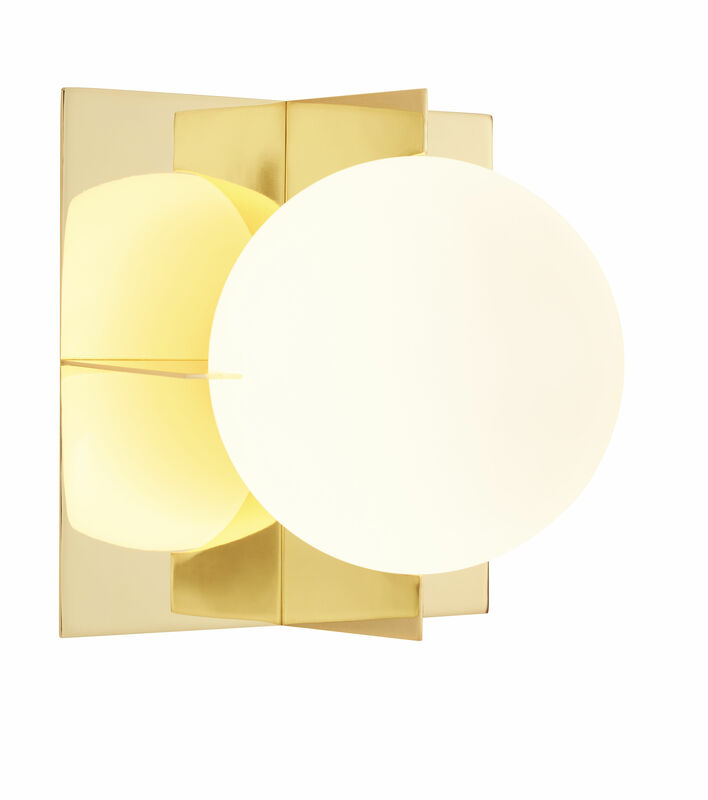 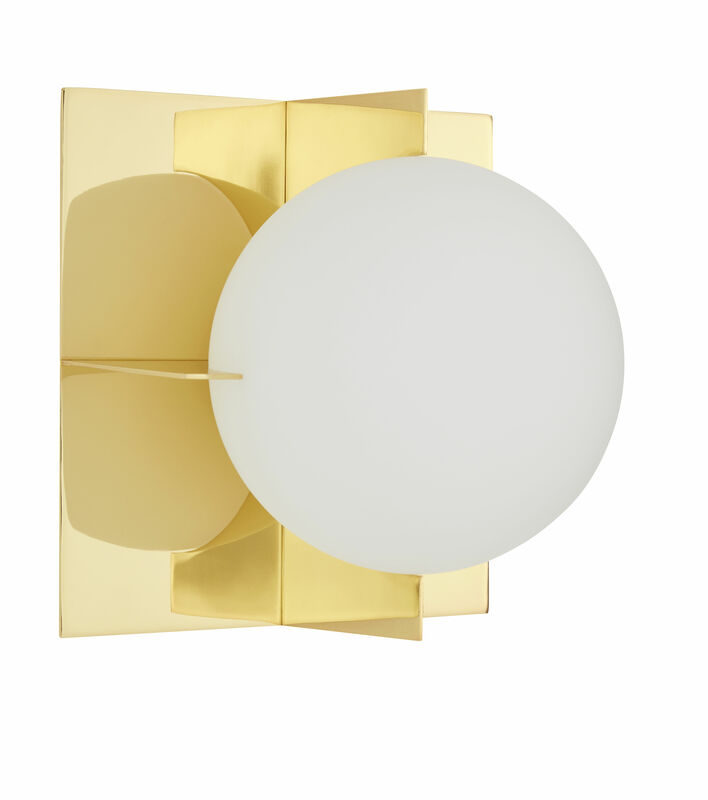 Geometric minimalism and art deco spirit for this refined, pared-back wall lamp. Plane consists of a white glass sphere nestled in the centre of a fine polished brass structure. 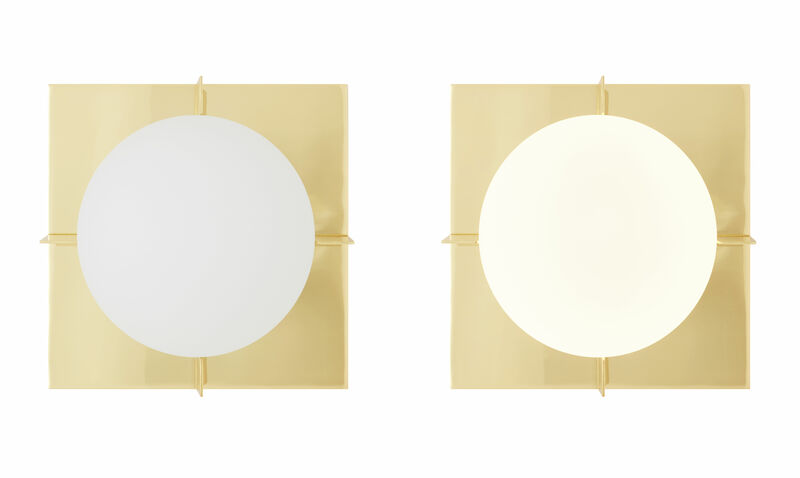 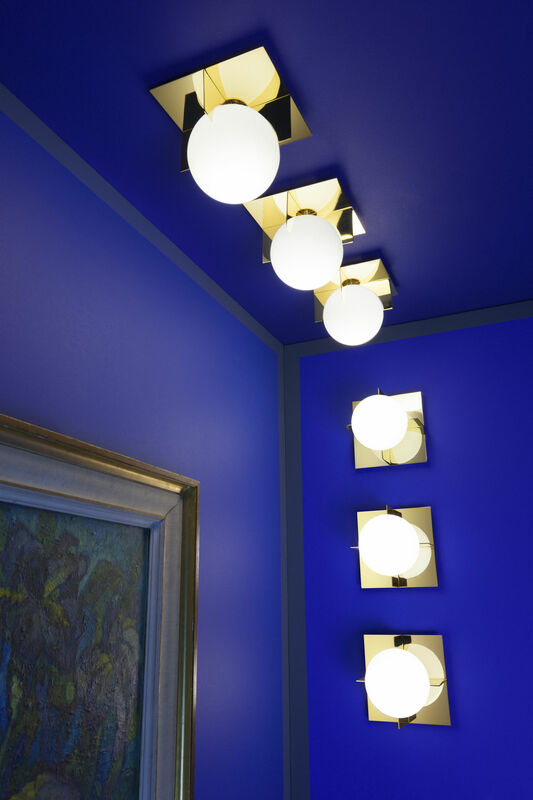 A sculptural and sophisticated light construction exploring the theme of balance.